Recently I was lucky enough to get the chance to go to California with work. We were doing registration for 3 co-located shows. At the end of the show we had a few days to explore which was great! We started in Long Beach and moved across to Los Angeles. Now I’ve never been to America before and I’ve always wanted to go, since I can remember. So of course I wanted to make the most of it! A friend of mine used to live in LA, so I asked for suggestions and she put me in contact with a friend of hers who still lived there. 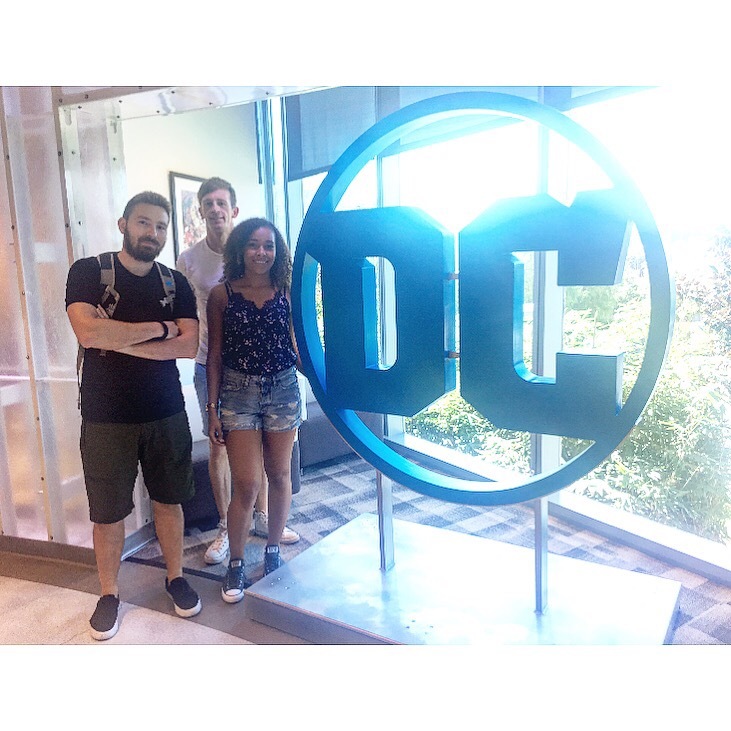 She mentioned my interests to him and he gave a list of ideas and mentioned his friend worked at DC Comics and might be able to give us a tour. Of course I JUMPED at the chance! And luckily she accepted! I know that this isn’t something you can just pay to do like a Warner Bro’s tour, you have to be excited and allowed access. So it’s safe to say, I feel privileged! 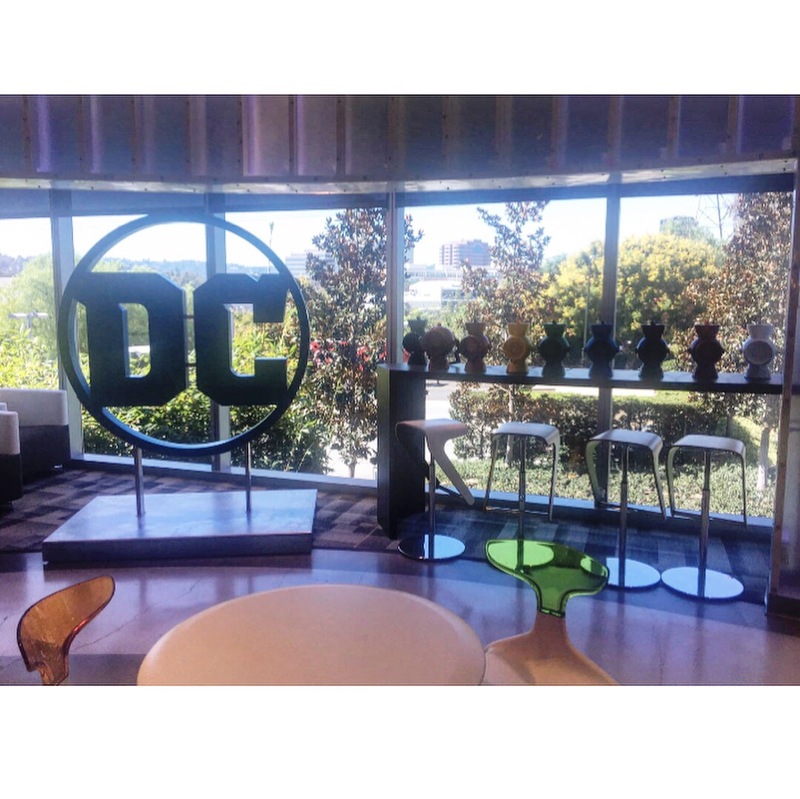 Of course, with it being DC Comics HQ you can’t take photos everywhere. 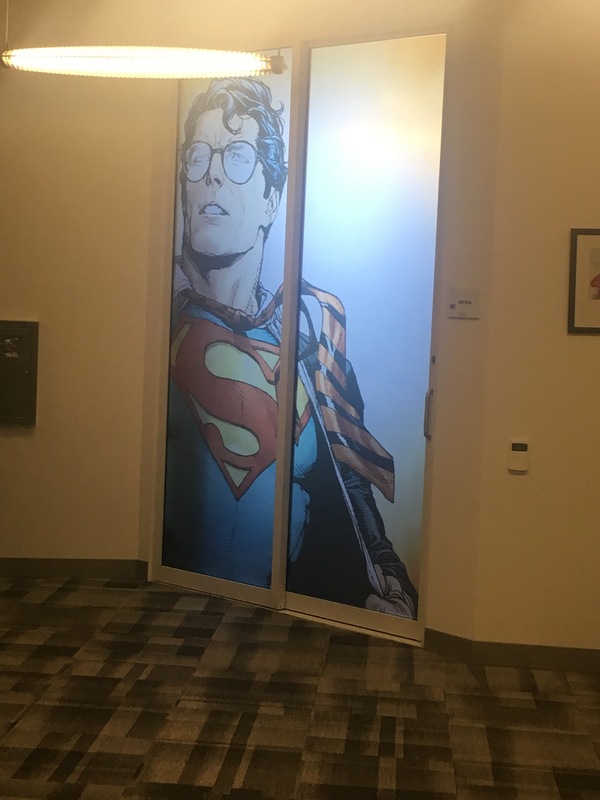 There are secret rooms (the game testing room and library) which are off limits, also they asked us to not take photos around certain areas like where the comic artists work. 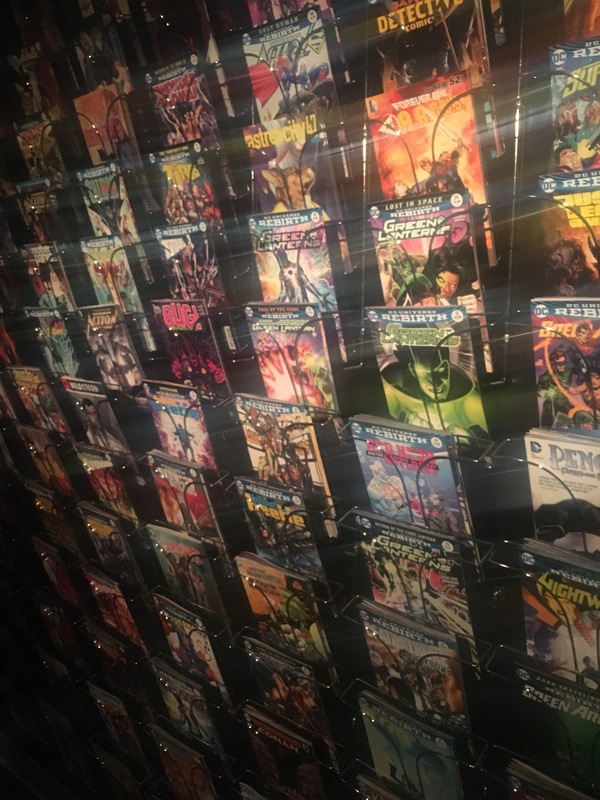 Firstly you enter through a lift and you get a wall of the latest comics from DC, which is a help yourself zone! On they way in we didn’t know this so when we left, we went all out! 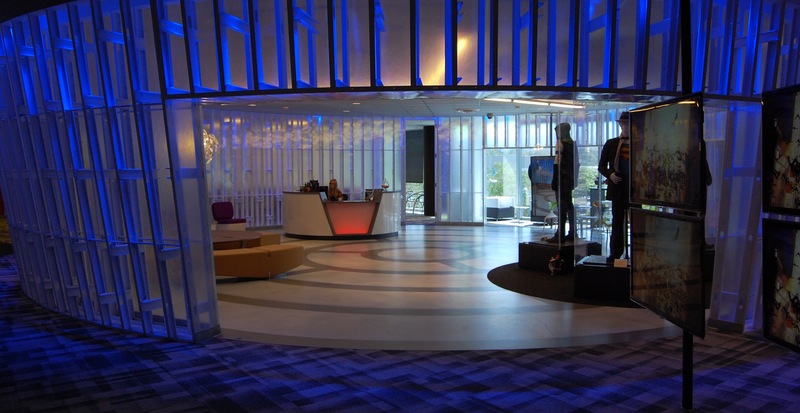 They have quite a lot of these areas throughout the office. It’s an awesome sight! 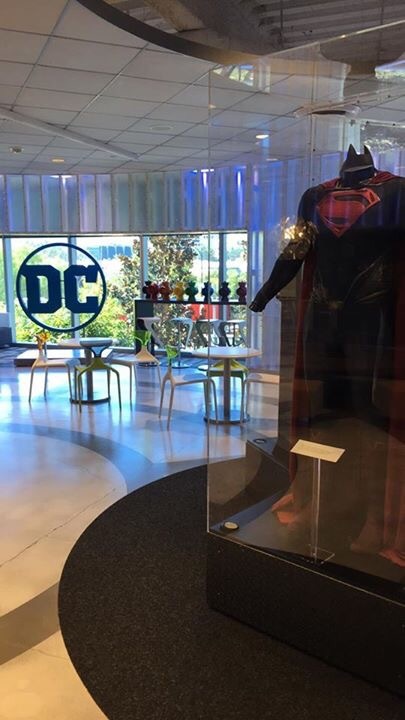 You then have the Batsignal lit up on the floor as you walk in and screens showing the latest news stories from DC Comics. 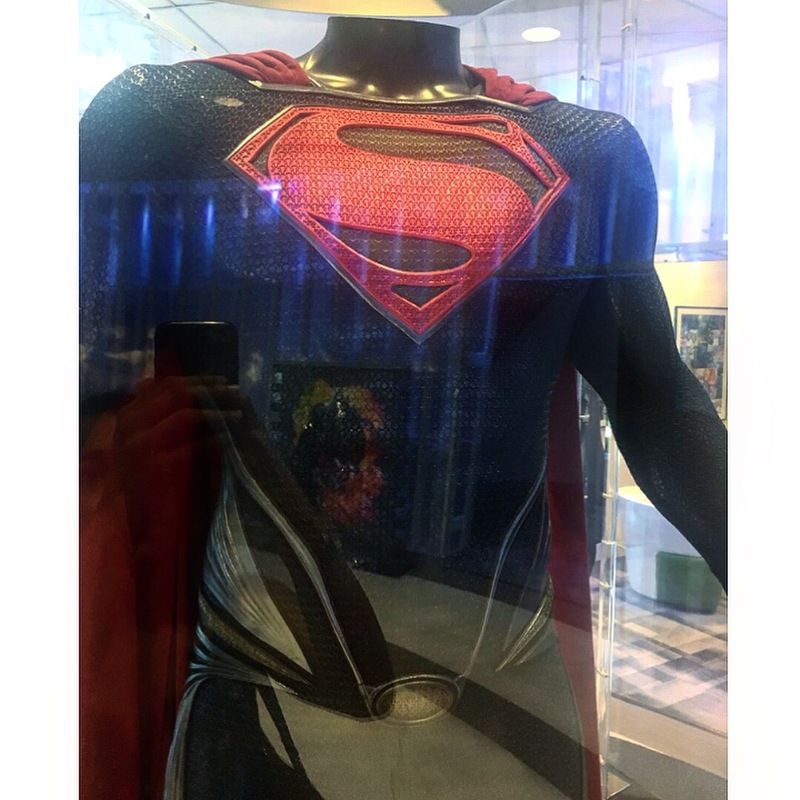 Where you’re greeted by awesome original DC costumes, the real ones worn in the movies. They switch them up every now and then but they said these are the favourites. 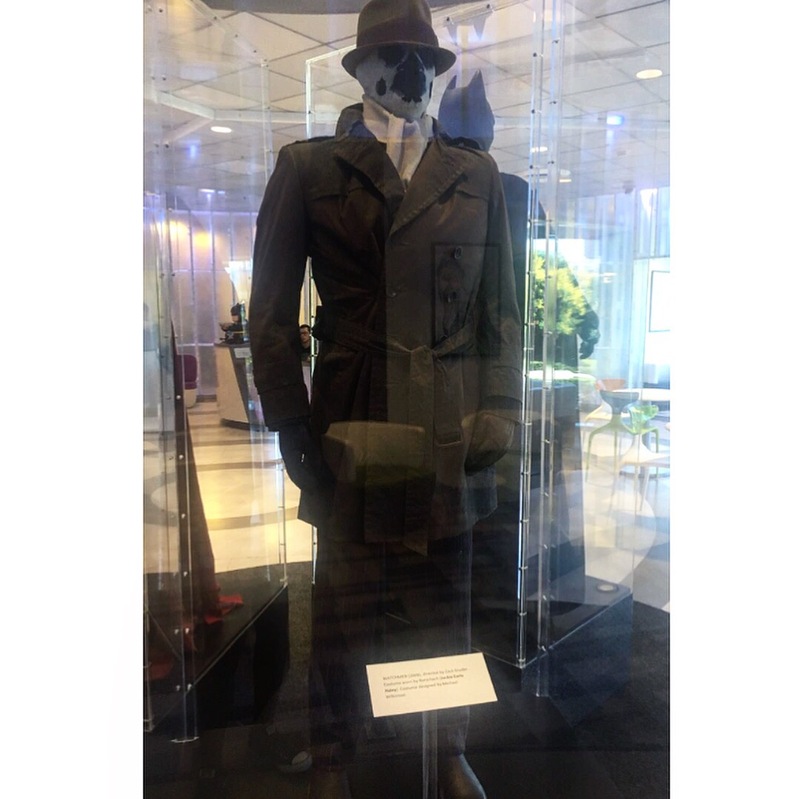 You had Superman’s suit from Man of Steel, Batman’s suit from The Dark Knight and Rorschach’s from Watchmen. You can look at these all day. You can never truly appreciate the detail in them from the films until you see them up close. Incredible. 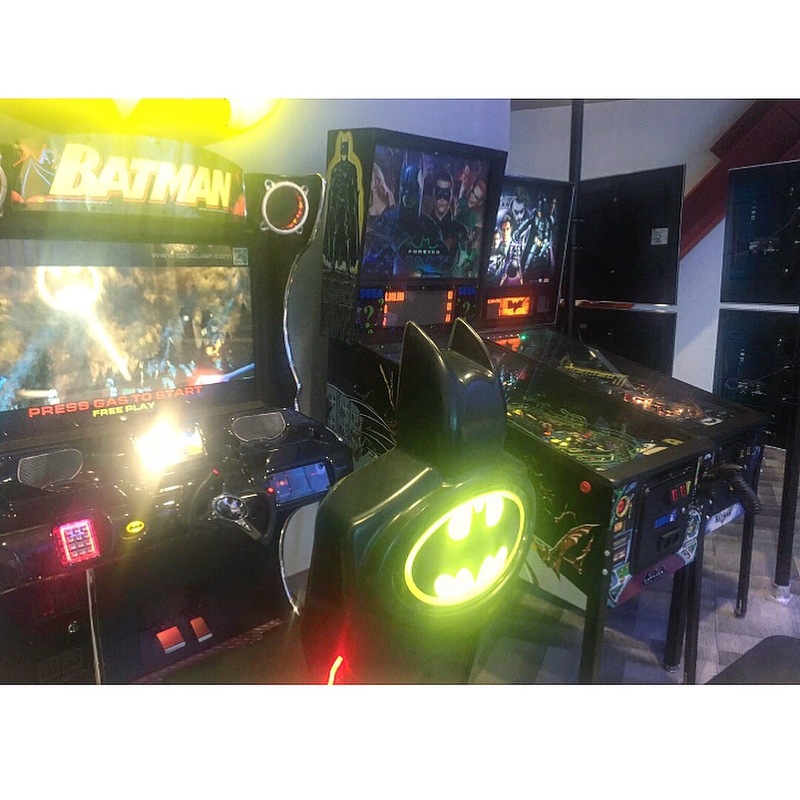 They also had Batman themed video games for people to play while they wait, a huge DC logo and Green Lanterns’ Lantern in numerous colours. As you walked through she explained every detail, what each department does, what she does, and how to team operate and how amazing it was to have a female Director. She described her as the real life Wonder Woman of DC. This was the areas we aren’t able to take photos of. Everyone’s desk was decorated in all things superhero! It was amazing, so many figures, comics and pictures and of course more free comic stations! 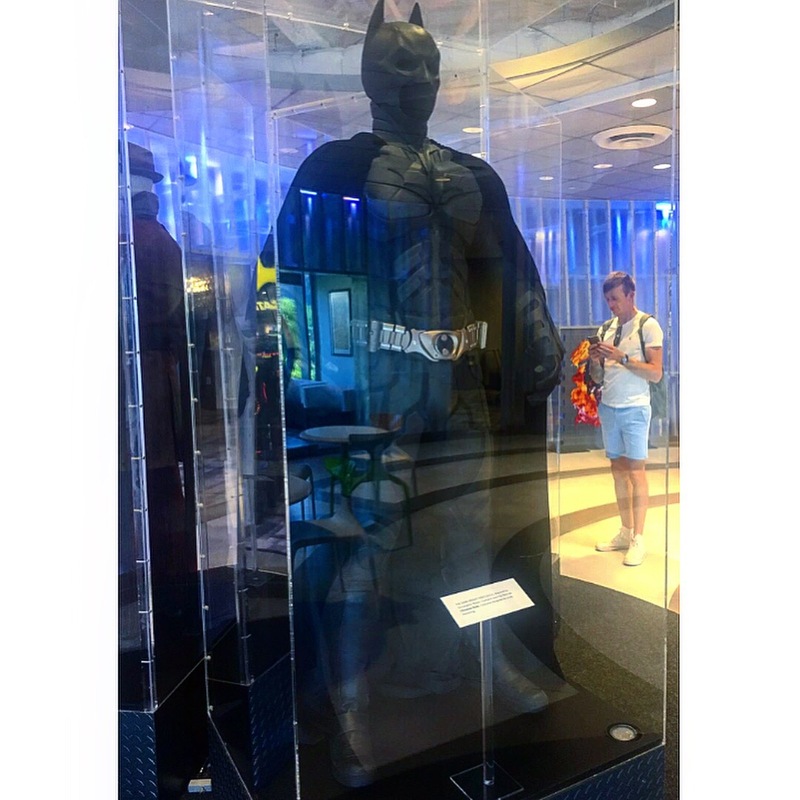 As you walk around the different departments you also have life size figures, like this Batman one. 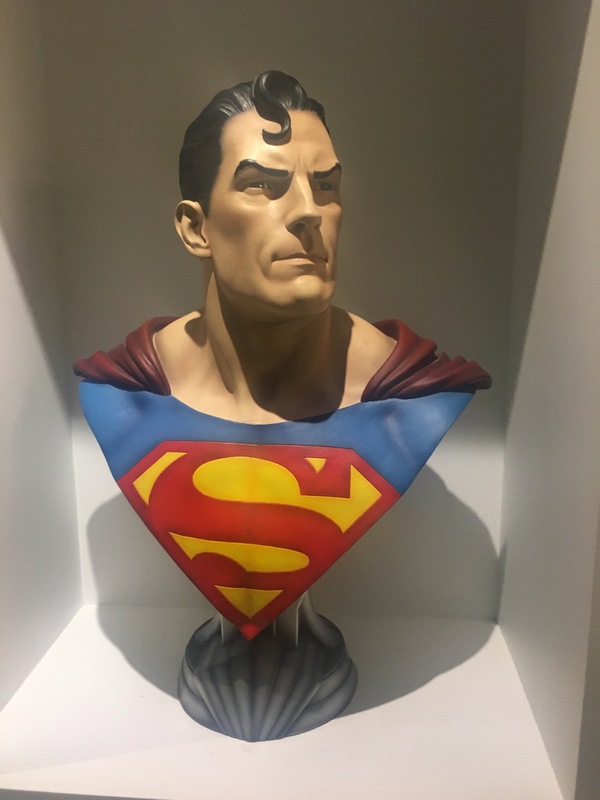 And also life size Superman busts and others of the characters, and more free comics! 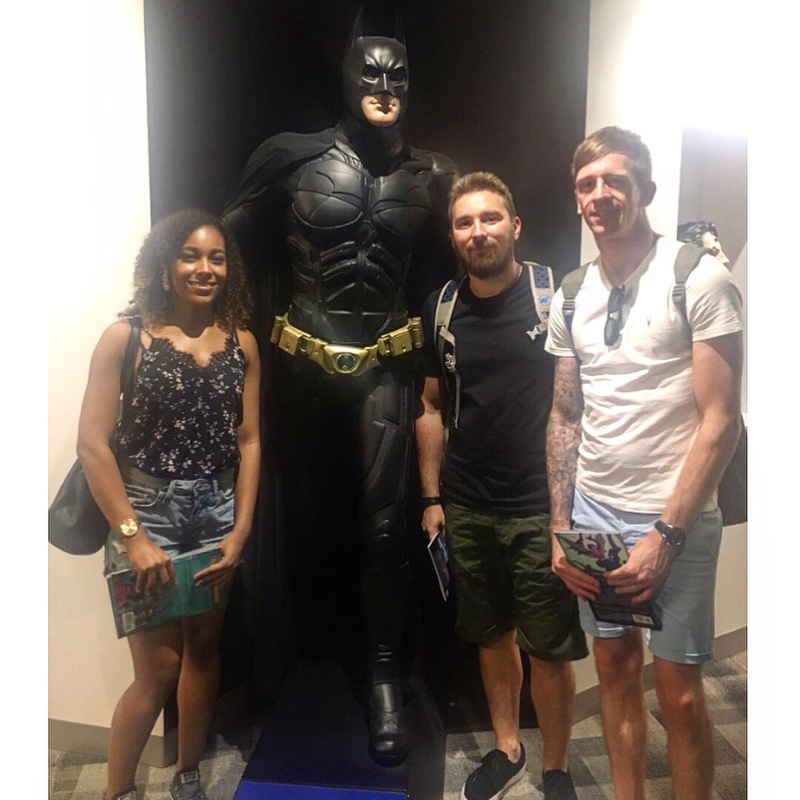 We then got to the the lady who was giving us a tour’s office and she asked who our favourite heroes were. 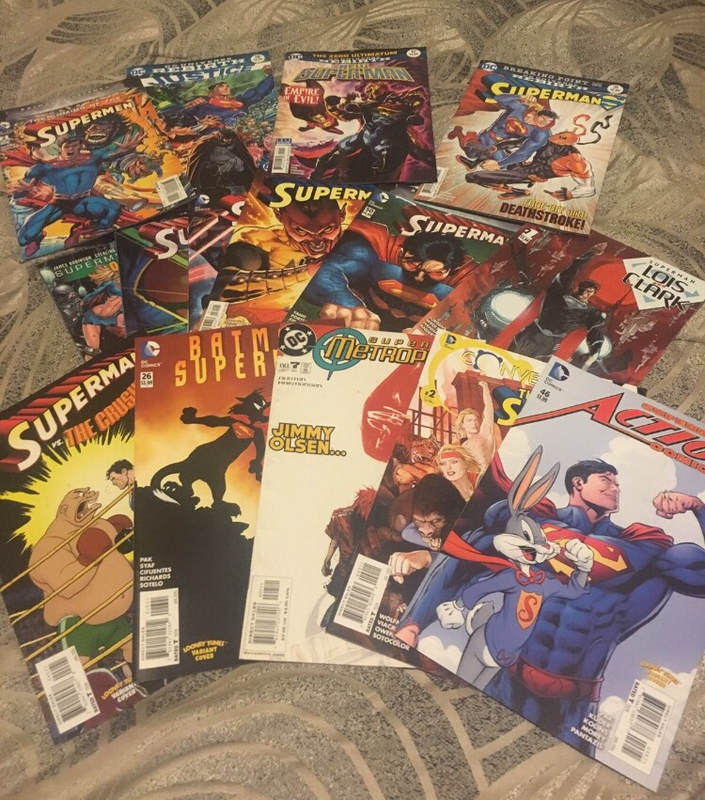 Of course I said Supermanc so she started going through her shelves to find me some comics and graphic novels. 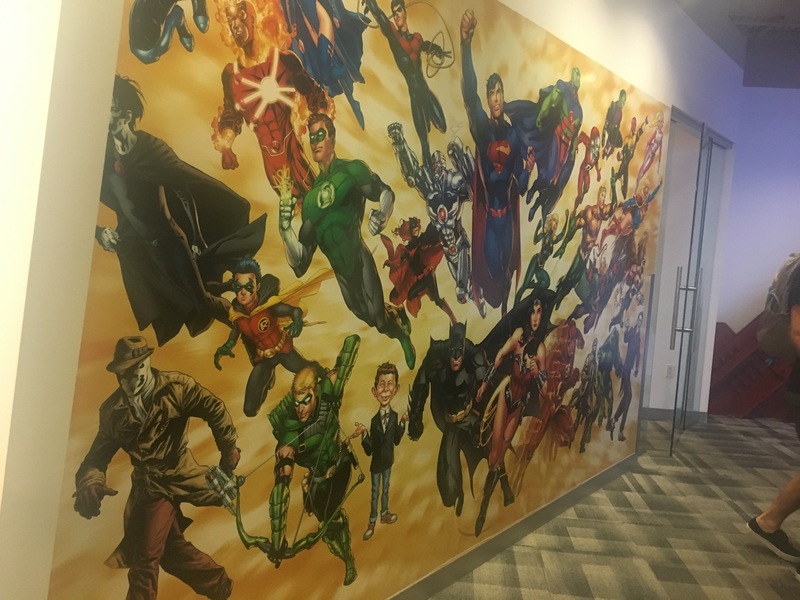 To go through them you have the games department, the film and TV department, the talent department and also the comic art and production department split into Vertigo, DC Classics and Mad. 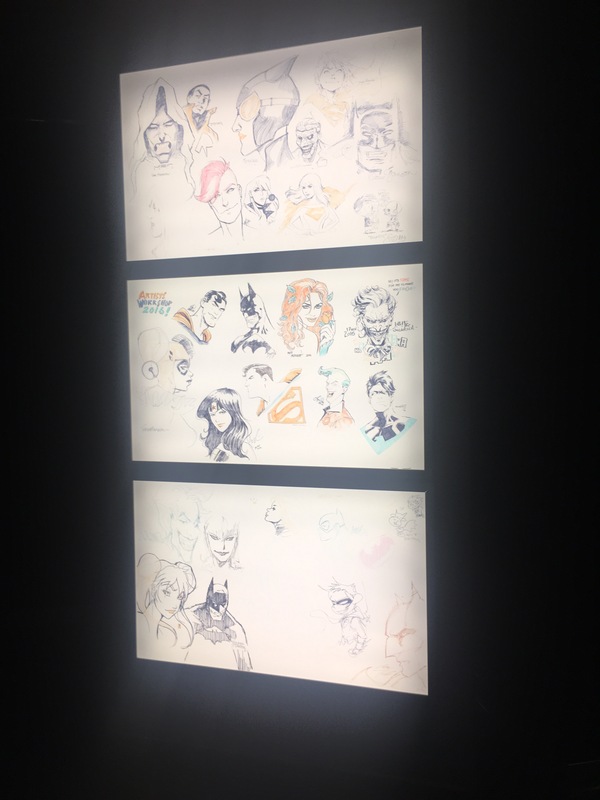 As you leave the comic art department there is a lit up display in which comic artists draw freehand on every time they visit. 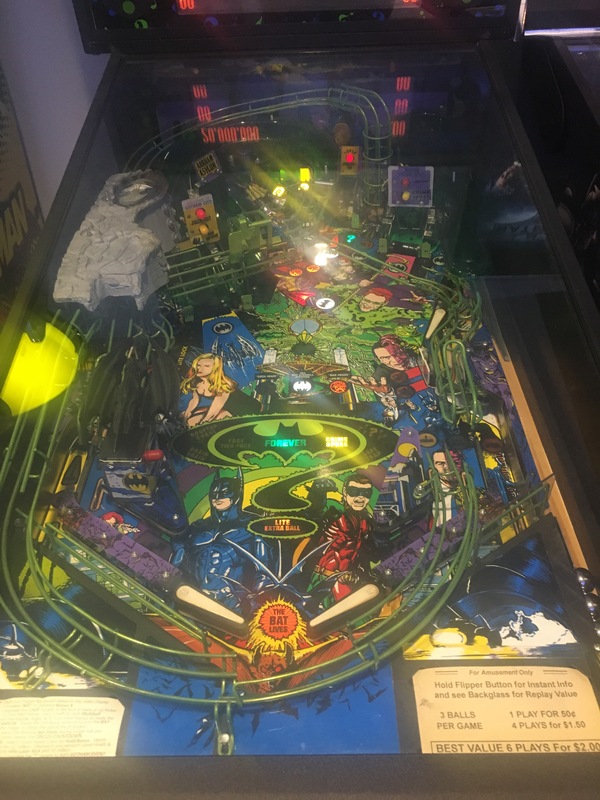 The art is immense on this board and from some of the worlds’ most famous comic artists. Through the tour you also see some incredible art and wall murals, like the one below. 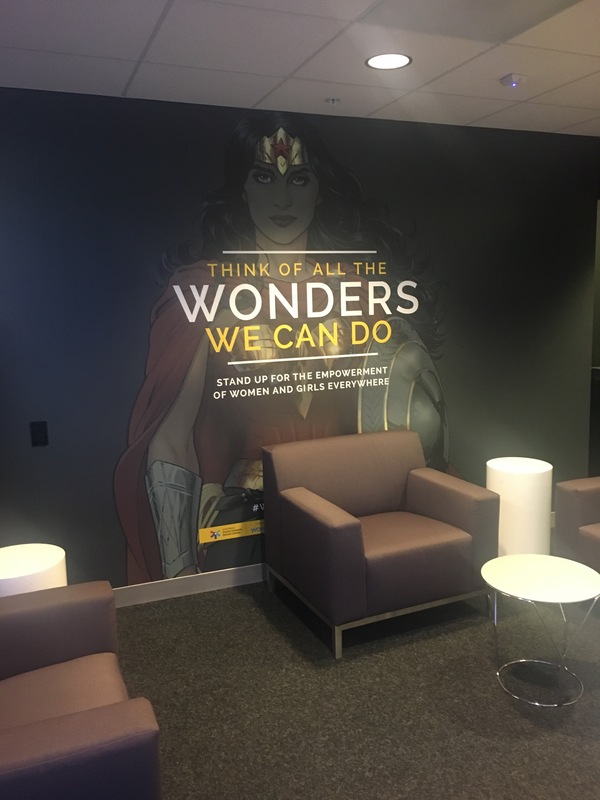 On your way out there’s a mural of Wonder Woman, when she as awarded the UN Honoury for female empowerment. The UN then decided that she was fiction so if wouldn’t be right to award it to a character. Go figure? Look at how much of an icon she is to women, now that the film is out. Then our tour sadly came to an end, but man what an experience! I will gladly go back again and again! And quite frankly, I need a job at DC Comics. 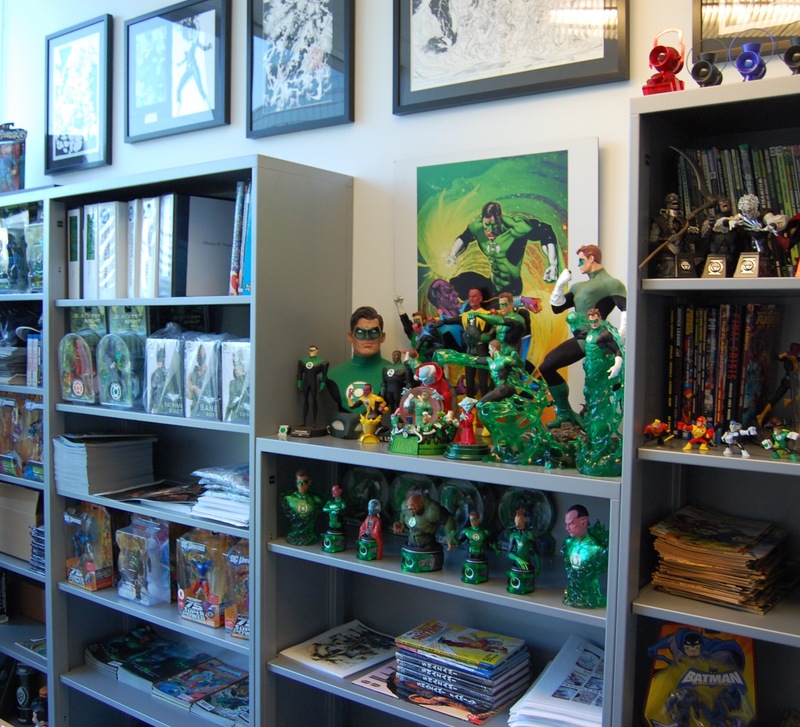 What an excellent office space and place to work, and full of my favourite things! I cannot express how grateful I am to her for giving me this opportunity and also to DC Comics for all of the free comics! I took lots! Thank you! 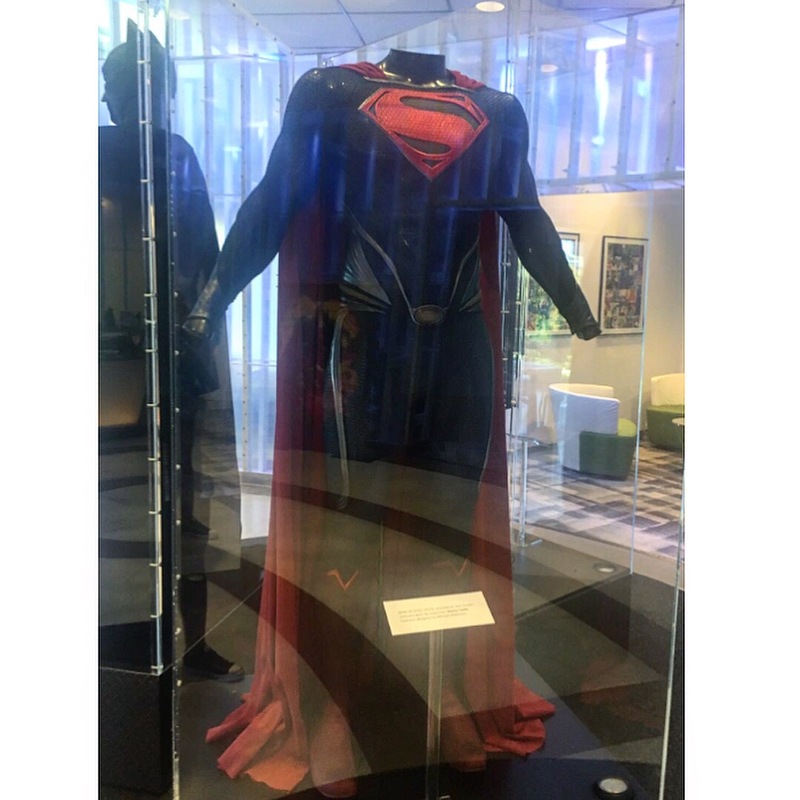 To see more of my geek adventures, check out my other posts, here! Awesome! I wann go there too someday.